There’s nothing like the taste of a homegrown tomato! 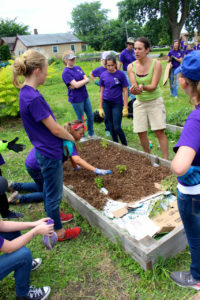 Interested in having your own garden plot? 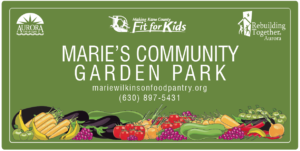 Marie’s Community Garden is located on Highland Avenue, right across the street from Marie’s West pantry and main office. Complete the 2019 Garden Application below, return by mail or in person to 834 Highland Ave in Aurora. Marie’s Community Garden members each have their own plots. Members join together to help take care of common areas. New to Gardening? No problem! Seasoned local gardeners, farmers and University of Illinois Extension educators are regular guests, happy to answer your questions.